Following the AIBA 1-star Referee & Judge Course which was held in Hanoi at the Vietnam National Boxing Championships another project is running in the Southeast Asian region. The next AIBA 1-star Referee & Judge Course is holding at the Indonesian National Boxing Championships in Lampung. 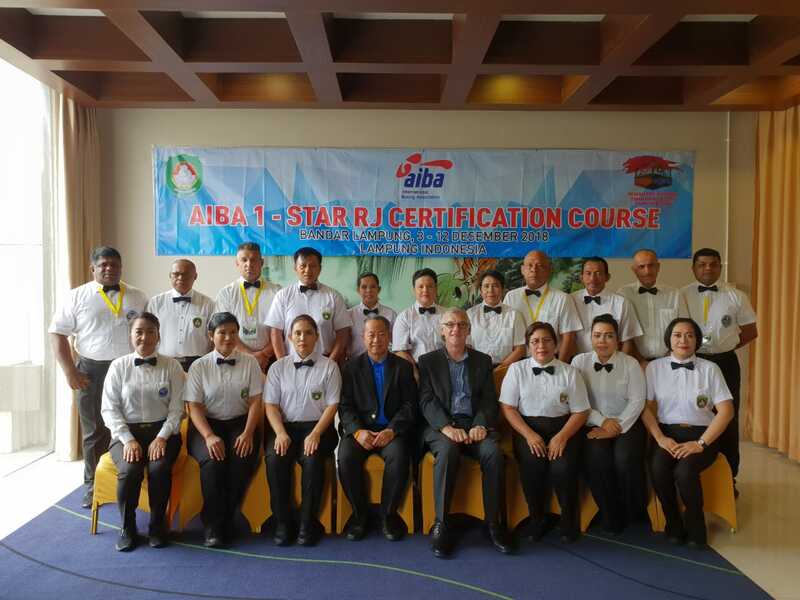 Two experienced AIBA Instructors as Mr. David Pike of Australia and Mr. Paiboon Srichaisawat of Thailand are the leaders of the AIBA 1-star Referee & Judge Course in Lampung at the Indonesian National Boxing Championships. The seminars have been separated into two parts, the first one was theoretic with a lot of presentations following that the second was introduced in the practical level. Indonesia hosted the last edition of the Asian Games in Jakarta where two of their boxers claimed bronze medals this August. Indonesia’s female talent Huswatun Hasanah and another young hope Sunan Agung Amoragam won their medals in Jakarta which were their first ones since the Bangkok 1998 Asian Games. Indonesia hosted also the Kapolri Cup for the women and men elite boxers this July before the Asian Games in Manado City where AIBA 2-stars Referee & Judge Course and AIBA 2-stars Coach Course were taking place during the competition. Twenty-seven preliminary contests were held in the first competition day of the Indonesian National Boxing Championships. Indonesia’s Southeast Asian Games winner Aldoms Suguro started well at the men’s flyweight (52kg) on Day1, his strong performance was enough to beat Supriadi in the preliminary stage winning the bout by unanimous decision. Another hope in this weight class Ilham Tapajati also impressed in Lampung after beating Costa Serymena in the opening day of the national event.